Deep learning is one of the fastest-growing machine learning methods that relies on multi-layered artificial neural networks. Traditionally, deep learning systems are implemented to be executed on a computer to digitally learn data representation and abstraction, and perform advanced tasks, comparable to or even superior than the performance of human experts. Recent successful applications of deep learning include medical image analysis, speech recognition, language translation, image classification, as well as addressing more specific tasks, such as solving inverse imaging problems. In contrast to the traditional implementations of deep learning, in a recent article published in Science, UCLA researchers have introduced a physical mechanism to implement deep learning using an all-optical Diffractive Deep Neural Network (D2NN). 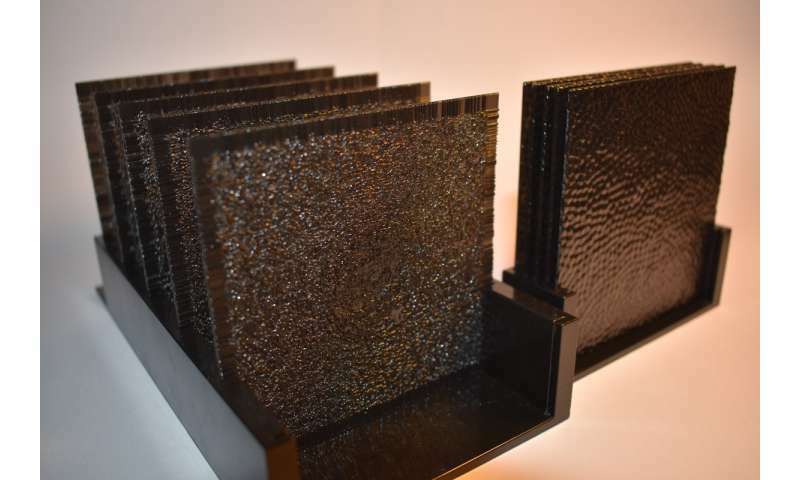 This new framework results in 3D-printed structures, designed by deep learning, that were shown to successfully perform different kinds of classification and imaging tasks without the use of any power, except the input light beam. This all-optical deep neural network can perform, at the speed of light, various complex functions that computer-based neural networks can implement, and will find applications in all-optical image analysis, feature detection and object classification, also enabling new camera designs and optical components that can learn to perform unique tasks. This research was led by Dr. Aydogan Ozcan, the Chancellor's Professor of electrical and computer engineering at UCLA and an HHMI Professor with the Howard Hughes Medical Institute. The authors validated the effectiveness of this approach by creating 3D-printed diffractive networks that were successful in solving sample problems, such as the classification of the images of handwritten digits (from 0 to 9) and fashion products as well as performing the function of an imaging lens at terahertz spectrum. "Using passive components that are fabricated layer by layer, and connecting these layers to each other via light diffraction created a unique all-optical platform to perform machine learning tasks at the speed of light," said Dr. Ozcan. By using image data, the authors designed tens of thousands of pixels at each layer that, together with the other layers, collectively perform the task the network was trained for. After its training, which is done using a computer, the design is 3D-printed or fabricated to form a stack of layers that use optical diffraction to execute the learned task. In addition to image classification tasks that the authors have demonstrated using handwritten digits and fashion products, this diffractive neural network architecture was also used to design a multi-layered lens that operates at terahertz spectrum, creating an image of an arbitrary input object at the output of the network, without any understanding of the physical laws associated with image formation. Such a design was created using only image data that were used to train the pixel values across different layers to form an imaging system in the form of a diffractive network. This proof of concept work highlights some unique opportunities that deep learning enables for optical component design based on image data, rather than physical principles or engineering intuition. Based on this new approach, more advanced optical components can be designed based on data, potentially surpassing the performance of traditional components. The other authors of this work, all from the UCLA Samueli School of Engineering, include postdoctoral scholars Xing Lin; Yair Rivenson, and Nezih T. Yardimci; graduate students Muhammed Veli and Yi Luo; and Mona Jarrahi, UCLA professor of electrical and computer engineering. This work was supported by NSF and HHMI.